This section explains your right to make healthcare decisions and how you can plan what should be done if you can't speak for yourself. Your doctors will give you information and advice about treatment. You have the right to choose. You can say "Yes" to treatments you want. You can say "No" to any treatment you don't want - even if the treatment might keep you alive longer. 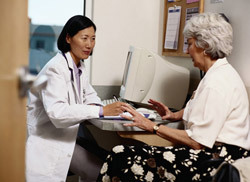 Your doctor must tell you about your medical condition and about what different treatments can do for you. Many treatments have "side effects." Your doctor must offer you information about serious problems that medical treatment is likely to cause you. Often, more than one treatment might help you - and people have different ideas about which is best. Your doctor can tell you which treatments are available to you, but your doctor can't choose for you. That choice depends on what is important to you. If you can't make treatment decisions, your doctor will ask your closest available relative or friend to help decide what is best for you. Occasionally there will be disagreement about what course to take. That's why it is helpful if you say in advance what you want to happen if you can't speak for yourself. There are several "advance directives" you can use to indicate preferences or designate who you'd like to speak on your behalf. One kind of advance directive under California law lets you name someone to make healthcare decisions when you can't. This form is called an Advance Health care Directive. You can if you are 18 years or older and of sound mind. You do not need a lawyer to fill it out. Who can I name to make medical treatment decisions when I'm not able to do so? You can choose an adult relative or friend you trust as your "agent" to speak for you if you're too sick to make your own decisions. After you choose someone, talk to that person about what you want. You can also write down in the "Advance Health Care Directive" when you would or wouldn't want medical treatment. Talk to your doctor about what you want and give your doctor a copy of the form. Give another copy to the person named as your agent. And take a copy with you when you go into a hospital or other treatment facility. Sometimes treatment decisions are hard to make and it truly helps your family and your doctor if they know what you want. The "Advance Health Care Directive" also gives them legal protection when they follow your wishes. You can use another kind of advance directive to write down your wishes about treatment. This is often called a "Living Will" because it takes effect while you are still alive but have become unable to speak for yourself. "The California Natural Death Act" lets you sign a living will, called a Declaration. Anyone 18 years or older and of sound mind can sign one. When you sign a Declaration it tells your doctors that you don't want any treatment that would only prolong your dying. All life-sustaining treatment would be stopped if you were terminally ill and your death was expected soon, or if you were permanently unconscious. You would still receive treatment to keep you comfortable. The doctors must follow your wishes about limiting treatment, or turn your care over to another doctor who will. Your doctors are also legally protected when they follow your wishes. Instead of using the Declaration in "The California Natural Death Act," you can use any of the available living will forms. You can use an "Advance Health Care Directive" without naming an agent. Or you can just write down your wishes on a piece of paper. Your doctors and family can use what you write in deciding about your treatment. But living wills that don't meet the requirements of "The California Natural Death Act" don't give as much legal protection for your doctors if a disagreement arises about following your wishes. No, you don't have to fill out any of these forms if you don't want to. You can just talk with your doctors and ask them to write down what you've said in your medical chart. And you can talk with your family. But people will be clearer about your treatment wishes if you write them down. And your wishes are more likely to be followed if you write them down. An "Advance Health Care Directive" lets you name someone of your choice to make treatment decisions for you. That person can make most medical decisions - not just those about life-sustaining treatment when you are unable to speak for yourself. Besides naming an agent, you can also use the form to say when you would and wouldn't want particular kinds of treatment. If you don't have someone you want to name to make decisions when you can't, you can sign a "Natural Death Act Declaration." This Declaration says that you do not want life-prolonging treatment if you are terminally ill or permanently unconscious. How can I get more information about advance directives? Ask your doctor, nurse or social worker to get more information for you. If you have any questions about completing any of the advance directive forms, or if you need an advance directive form, you may contact Patient Affairs at (310) 267-9113 for inpatients, or for Ambulatory Care Patient Affairs contact (310) 794-1276. You may also ask for additional written material titled "Making an Advance Directive." This detailed brochure is very helpful to anyone who wants to prepare an advance directive. All of us at UCLA Health want our patients to understand their rights to make medical-treatment decisions. UCLA Health complies with California laws and court decisions on advance directives. We do not condition the provision of care or otherwise discriminate against anyone based on whether or not you have executed an advance directive. We have formal policies to ensure that your wishes about treatment will be followed. 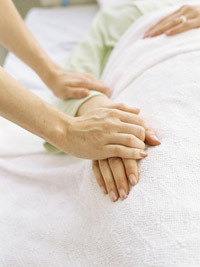 We also have an Ethics Committee that can help if any questions arise about your treatment wishes. It is your responsibility to provide a copy of your advance directive to the Ronald Reagan UCLA Medical Center's Admissions office, the Patient Affairs office or Resnick Neuropsychiatric Hospital at UCLA so that it can be filed in your medical record. The California Consortium on Patient Self-Determination prepared the preceding text, which has been adopted by the California Department of Public Health to implement Public Law 101-508.